England’s Lake District is famous for its lakes, mountains and breath-taking scenery, with each region having its own appearance and character. From William Wordsworth’s poetry to Alfred Wainwright’s walking guides, the area has long inspired people to visit and experience its peaceful, rugged beauty for themselves. The Lake District is, however, full of surprises! Around every corner lies a new valley and view, each with its own stories and traditions. Take a look at our map to find 10 things you didn’t know about this beautiful corner of England. 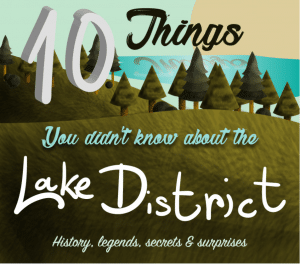 <a href=https://www.craigmanor.co.uk/10-things-you-didnt-know-about-the-lake-district/>10 Things You Didn’t Know About The Lake District </a> by <a href=https://www.craigmanor.co.uk>Craig Manor</a>.